Folding and refolding bed sheets to ensure they are squared can take a lot of time. It's the same with unfurling and folding up NASA's massive James Webb Space Telescope sunshield during testing. 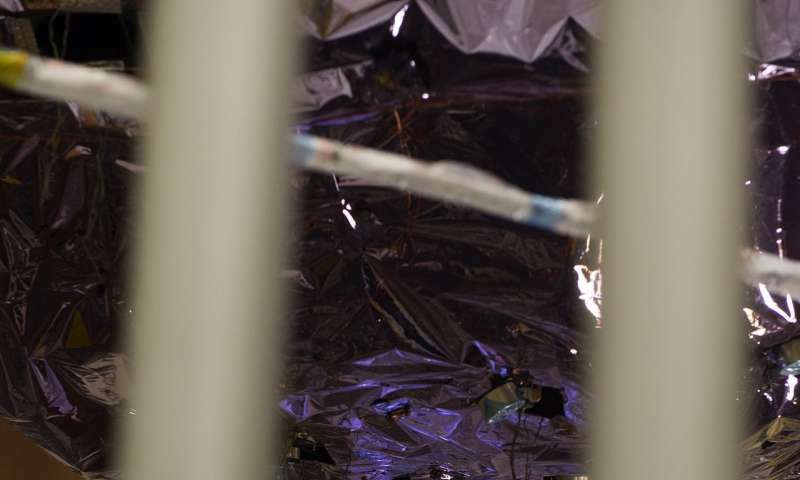 However, engineers found a way to make this process much faster by temporarily installing small pencil-sized rods that keep the silver-colored sunshield tidy during inspection and repair. In these photos, technicians install these small metal rods into premade holes of Webb's sunshield to maintain alignment of its five tennis-court-sized sunshield layers. This technique removes the need to activate the sunshield release devices and subsequently have to fully deploy and then of course refold the large sunshield layers, reducing the time required to implement repairs by months. 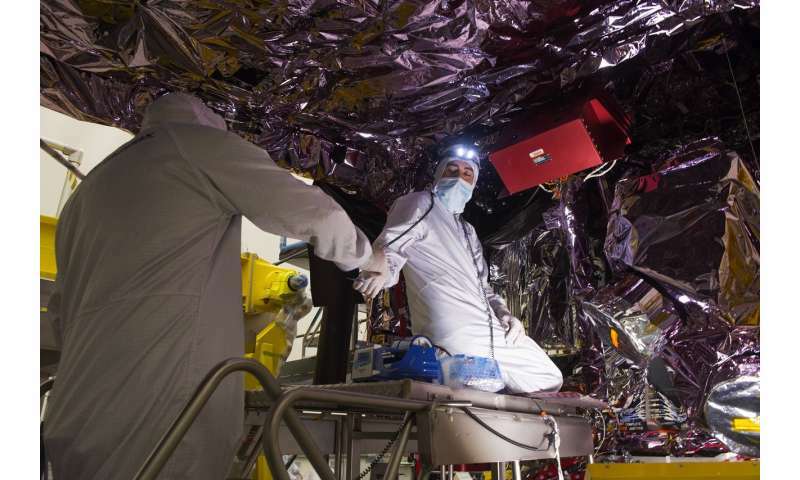 The sunshield separates the observatory into a hot, Sun-facing side (reaching temperatures close to 230 degrees Fahrenheit), and a cold side (approximately minus 400 degrees Fahrenheit) where the sunlight is blocked from interfering with the sensitive telescope instruments. The James Webb Space Telescope will be the world's premier space science observatory. Webb will solve mysteries of our solar system, look beyond to distant worlds around other stars, and probe the mysterious structures and origins of our universe and our place in it. Webb is an international project led by NASA with its partners, ESA (European Space Agency) and the Canadian Space Agency (CSA). What happens next when this device fails to launch or function properly at it's target location? I have no confidence in this device.